Heat-X Anti-Mating Powder for Dogs 2.5 oz. $5.95. Heat-X protects females in heat. Helps prevent unwanted puppies. Reduces male nuisance during trying times. It mixes and annuls the scent of the effluvium, even during the final week when her scent is most compelling. Apply to female dog by generously puffing the powder from the dispenser cap onto her external genital area. Keep applied at all times during her heat cycle. Reapply after urination and after getting wet. Keep out of reach of children. 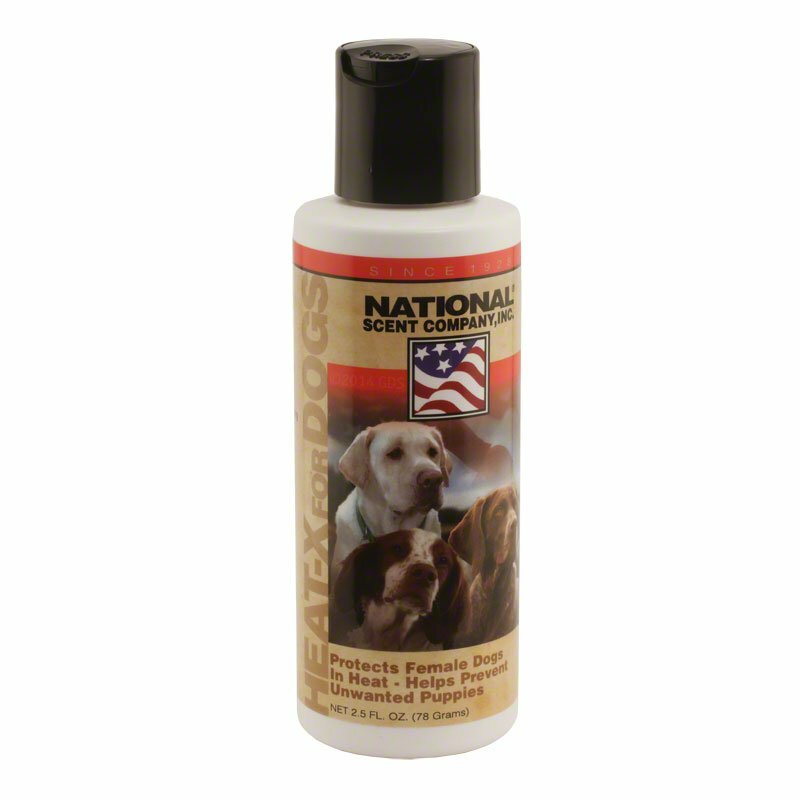 Ear Wash by Mendota Pet -- 4 oz.